Incredible work has been undertaken between Capgemini and Albert Heijn over the past months. It has been a really exciting time in terms of exploring how supply chains can become a digital, single source of truth that cuts lead times, reduces paper waste and empowers employees. Ahold Delhaize (Albert Heijn) wanted to digitise the supply chain to minimise paperwork. 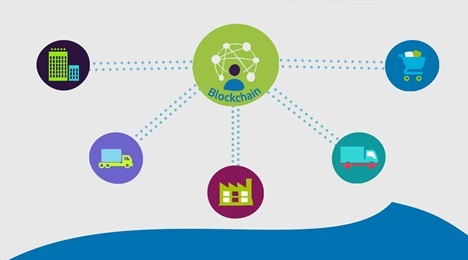 In the Applied Innovation Exchange, Capgemini developed a use-case together with Ahold Delhaise and a number of logistics partners.They Investigated how process innovation combined with blockchain technology can quickly realise this. The reason for implementing blockchain is all about streamlining the supply chain by making it a seamless, enjoyable process. Ahold Delhaize had a vision for their supply chain to become ‘safe, clean, smart and loved’… so by investing the talent and the time into facilitating blockchain’s full potential to fulfill this concept. In six months time a working Proof of Concept (POC) was developed, a mobile app linked to a blockchain. This solution takes paper out of the process and saves every trip more than 20 minutes. A potential saving of millions. This project shows that as Capgemini is not only able to bring up innovations, but also make them work in a short time. We have the innovative power to deal with complex technology, helped by the fact that many different experts involved and have acted as one to the customer.